Description: Jackson and his family have fallen on hard times. There's no more money for rent. And not much for food, either. His parents, his little sister, and their dog may have to live in their minivan. Again. Review: Crenshaw is a bittersweet tale about a family going through economic hardship. Jackson is a scientist, a skeptic, and nobody’s fool. He may not know the exact details of his family's strife, but he knows that his parents are overwhelmed and that they had to live in their car for sometime. Jackson knows that his parents need help, but they keep in arm's length away from their problems and keep reassuring him and his sister that "everything is fine", but he knows this isn't true. When Jackson’s family faces homelessness once again, his former imaginary friend, a giant cat named Crenshaw who’s visible only to Jackson, makes a reappearance. Crenshaw is neither cute nor obviously supportive. He appears at odd times, takes bubble baths, constantly asks for purple jelly beans, and gives him enigmatic pithy advice. Jackson tries to banish him, but Crenshaw insists that he has been summoned. At first I wasn't sure what to think of having an imaginary friend as a plot device and metaphor, but somehow Applegate makes it work. 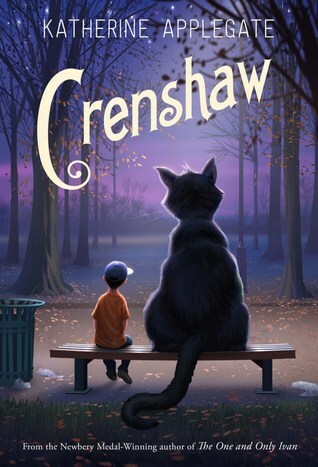 Crenshaw is both real and imaginary; a symbol of Jackson's faint strands of innocence, but also Jackson's growing confidence that he is old enough to be told the harsh truths about his reality. Jackson’s family is loving, optimistic, and functional in its way, but the tenuousness of the family’s situation and Jackson’s lack of control over his own fate are stressful and sadly realistic. The tone is warm and occasionally funny, but Applegate doesn't sugarcoat the hardships of Jackson's family, the effects of hunger and the uncertainty of the future. The story does end on a hopeful note. Heh, I can appreciate a quirky read such as this one :) Though I have to wonder if I would have picked up on such metaphors if I had read this when I was the age this read is no doubt intended for. This sounds like a wonderful read. I have a hard time resisting emotional heartfelt reads like this one. Wonderful review! I just started this one last night, I was thinking of reading it to my seven year old, but I am not sure she's ready for it. I am liking what I have read so far. I like the contrast of the humor without shying away from the problems. This sounds like a great kids book. Lol, I feel like the metaphor would have gone over my head. 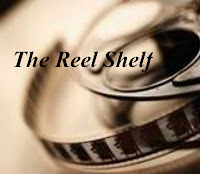 I wouldn't normally pick this up, but since you liked it, Rummanah, I'll add it to my wishlist.